Concerns are already arising in the semiconductor industry about Apple's potential switch from Samsung to TSMC for production of iPhone and iPad processors. Supply chain sources indicated to DigiTimes that it is expected Taiwan Semiconductor Manufacturing Company will begin producing chips for Apple in 2013. The publication has a hit-or-miss track record reporting Apple's future plans, but is known for having sources in the Asian component making market. 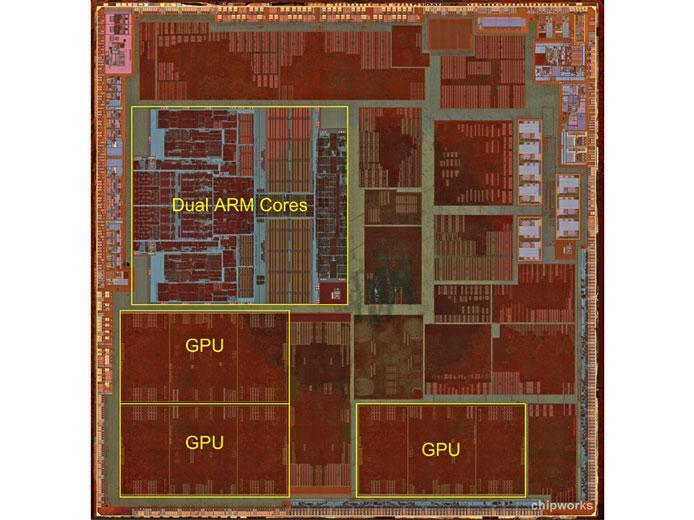 In Wednesday's latest report, industry observers indicated that demand for chips from Apple is expected to be massive, with nearly 200 million CPUs for the iPhone and iPad needed every year. Those orders are expected to require TSMC to need at least 200,000 12-inch wafers to meet demand from Apple. It's also reportedly caused concern among TSMC's current customers who are afraid they could be squeezed out if Apple takes up the bulk of TSMC's orders. "TSMC's advanced process offerings serve the world's major fabless IC firms including Altera, Qualcomm and Nvidia," the report said. "While being capable of providing sufficient capacity to Apple, TSMC also does not want to upset its existing major clients, the observers noted. Allocating efficiently its production capacity will be a focus for the foundry in 2013, the observers believe." Morris Chang, chairman and CEO of TSMC, recently indicated it could make sense for his company to dedicate as many as two entire fabrication plants to one company in order to supply enough chips. Some industry watchers interpreted those comments as a sign of a possible deal with Apple. Rumors of a chipmaking deal between Apple and TSMC have persisted for some time, but Samsung remains the sole supplier of custom ARM-based processors for the iPhone, iPad, iPod touch and Apple TV. However, a growing rift between Samsung and Apple  two companies that fiercely compete in numerous markets  has increased chatter suggesting Apple plans to move its chip production away from Samsung. One rumor out of Taiwan last month claimed Apple's future iOS devices could be powered by custom chips from TSMC as soon as late 2013. It was suggested that those processors could be quad-core chips based on a 20-nanometer manufacturing process. Another rumor that surfaced in August claimed that Apple made an offer for around $1 billion that would have made TSMC a dedicated chip producer to Apple alone. The offer was allegedly rejected by TSMC, as the company was said to be interested in staying involved in the booming broader smartphone market.